First, a big THANK YOU to all the people who are supporting In Absentia on Indiegogo! After two weeks, the campaign has already reached the 51% of funds, and there are still two months to go! I've had a temperature for the last two days, but before that, I had reached page 11 (with inks) and page 7 (with colours). Page 7 was the one that took me the longest, so far - and I still have to letter it. Per quelli di voi che leggono l'italiano, c'è una mia intervista su In Absentia sul blog di Cristina Zagaria. Grazie, Cristina! Justin Heggs, the writer of Daddy, which I illustrated last summer, published all the short comic (5 pages) on his blog. As a second news, also the website for another comic I worked on last winter is now fully online. I only drew and inked Hexed (written by Matt O'Keefe) and haven't read the rest so far, but I'm eager to do so! I know some people may hate me for this (yes, you, Amerigo), but on Wednesday I sold my copy of Epileptic by David B. Since one of the first posts in this blog was about it, I thought I should write it here. In two years, I was never able to re-read it (and I re-read comics MANY times - I mean, I've read Spent by Joe Matt some four times in the first month after I bought it) and I considered it as bringing a bad omen to my bookshelf. Weird, I know. You can despise me if you wish. But I could not force myself to appreciate or enjoy that graphic novel. In Absketch 4: For Debbie! Thanks for supporting In Absentia on Indiegogo, Debbie! 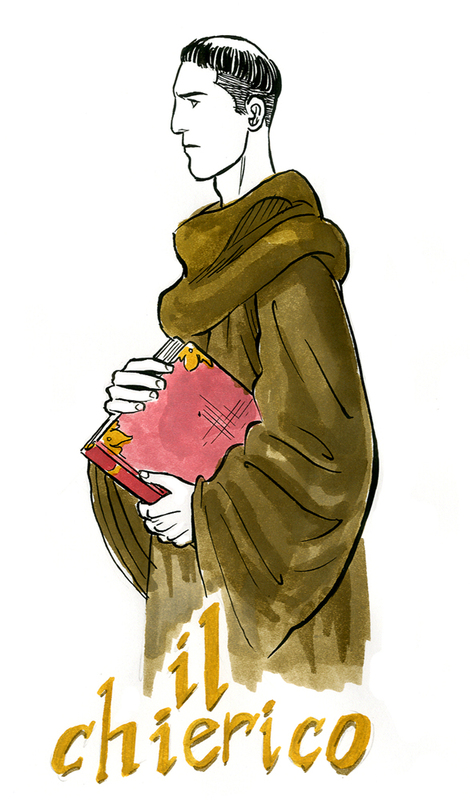 Here's Giacomo the cleric for you. In Absketch 3: for Justin! Lady Dionea for Justin Heggs, the writer of Daddy! Thank you so much for supporting In Absentia on Indiegogo, Justin. 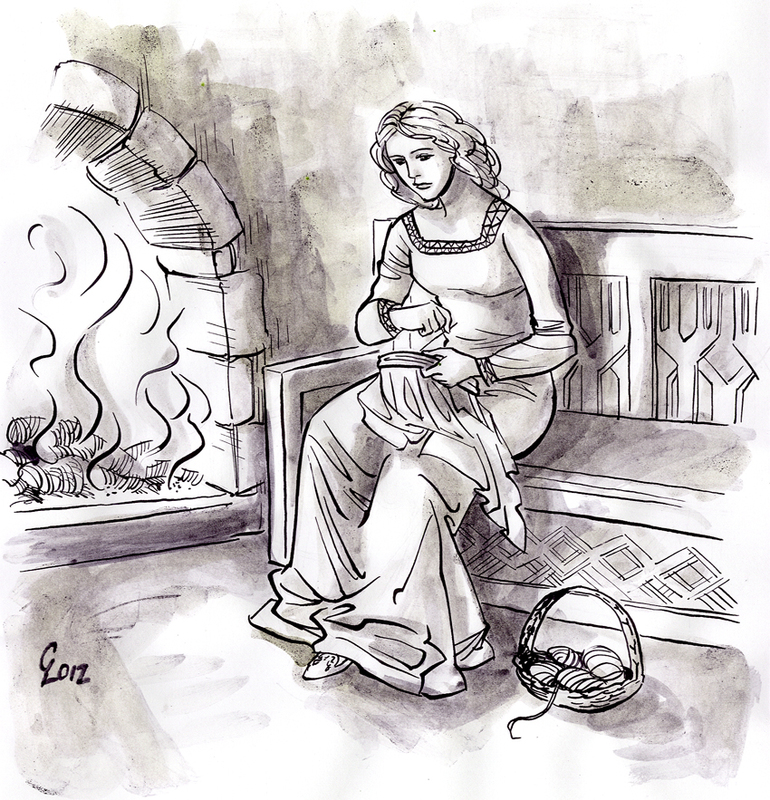 In AbSketch 2: for Patrizia! 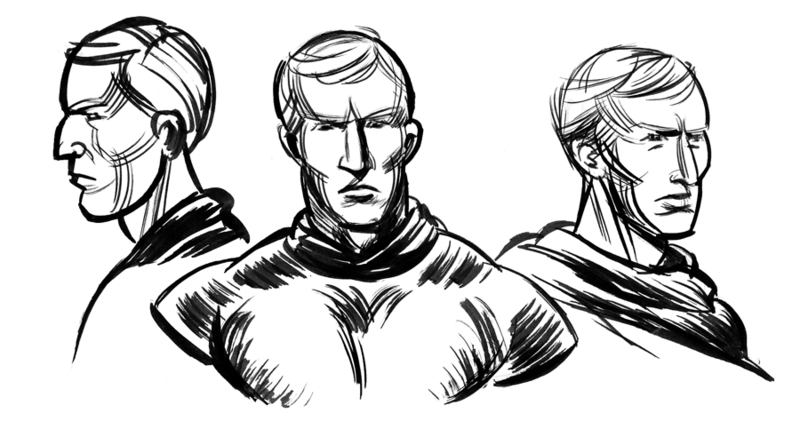 In AbSketch 1: for Fabio! In Absentia: cover and video! The first three pages will be online on October 1st! Now all I need is you! Spread the word. Join the Indiegogo campaign. Be ready to read it! And, especially, enjoy it! See this widget? It's for my new foundraising campaign on indiegogo. I still have to add a video, but the campaign is on. Here. 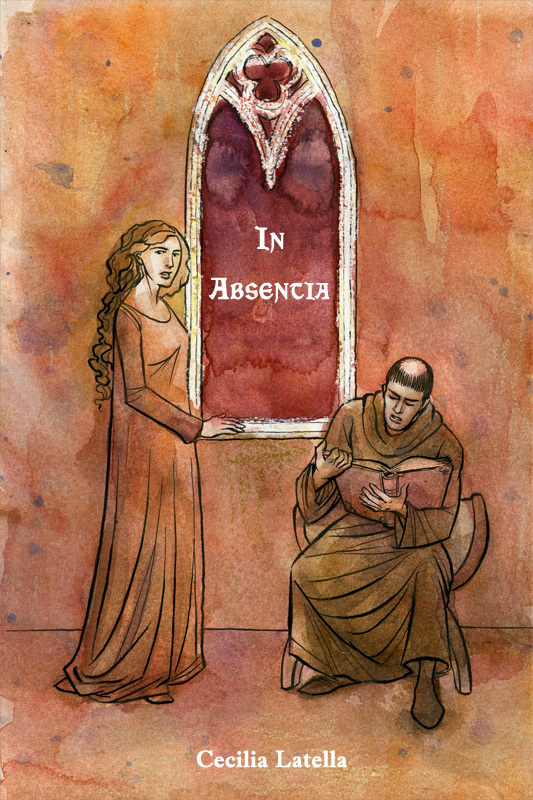 IN ABSENTIA is a 24-pages comic written, drawn and coloured by me, set in an imaginary XIII century Italy. I've written this story one year ago and now I'm finally ready to go. I've drawn the first three pages (out of 24) and pencilled the cover. All I need is time, and your help. Can I count on you? Your support would be so precious for me. By founding this campaign, you will support me while I draw these pages and help all the oher readers to be able to read it, as it will be released FOR FREE on the net (on my blog, my dA page, and on smackjeeves.) IN ABSENTIA to be a story about silence and incommunicability. The two main characters live together in a relatively small place, yet never come to a deeper understanding. 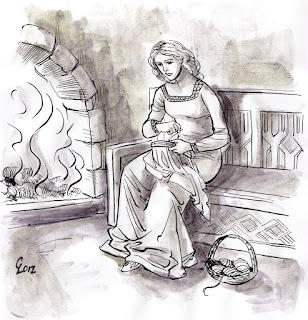 I wish IN ABSENTIA to be a comic of feelings and atmosphere, enjoyable by everybody who loves comics, the Middle Ages, and unspoken sentiments. Thank you so very much for any help you could give me, and spread the word. 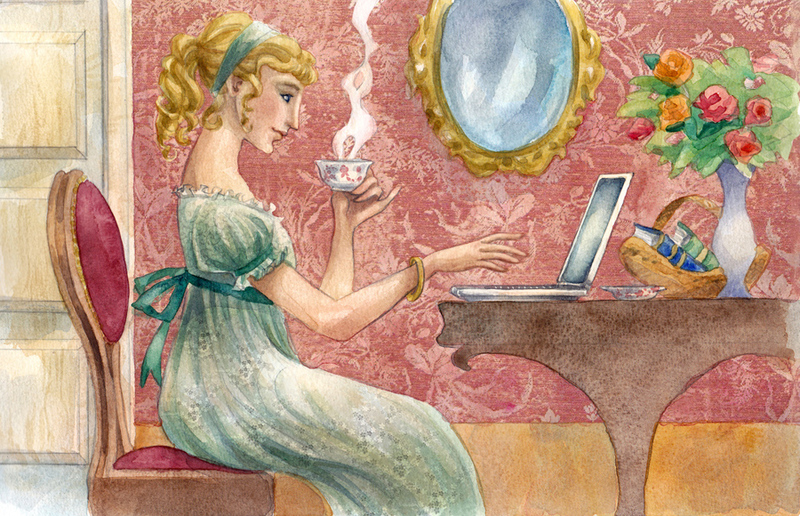 A new header for the blog My Jane Austen Book Club. Thanks Maria Grazia! Look how shiny it looks! Cover by James Brunner. Dr. Muscles Journal One will be available on September 15th on http://www.boguspublishing.com/. It features the first 5 issues of Dr Muscles (Issues 1 and 2 were already available), including issue 4 (which I've coloured) and issue 5 (which I have drawn, inked & coloured.) Can't wait! Flavius Aetius, I mean, not Ezio Auditore of Assassin's Creed. 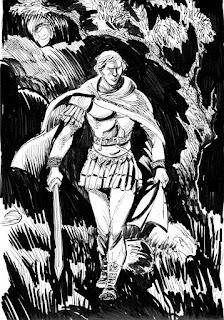 I have this Aetius' biography in mind (to do I don't know when), and I used him to do a bit of inking practice. I read Klaus Janson's DC Guide to Inking, recently, and I tried a few tips described in the book. 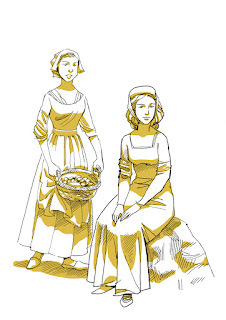 This was inked starting with the fine lines inside and then adding the black outside. Finer lines were inked with a Leonardt nib (not my usual one), while outer borders were done with a brush. Not my usual method, of course. 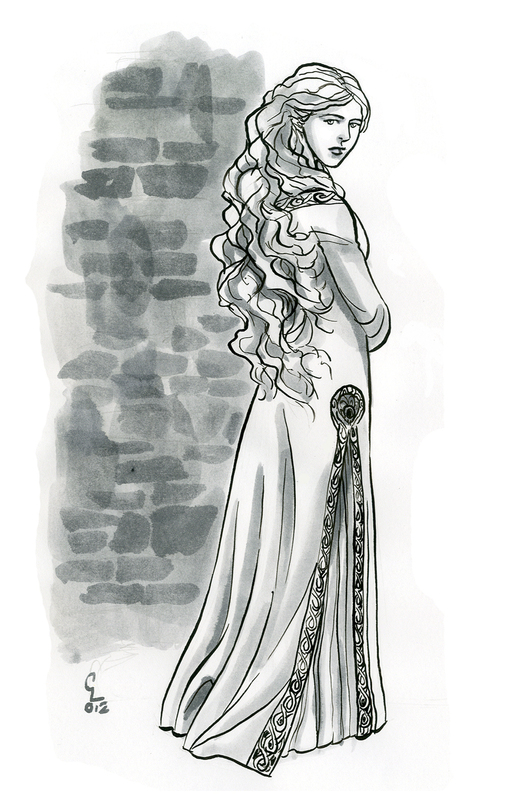 This was inked entirely with a brush. 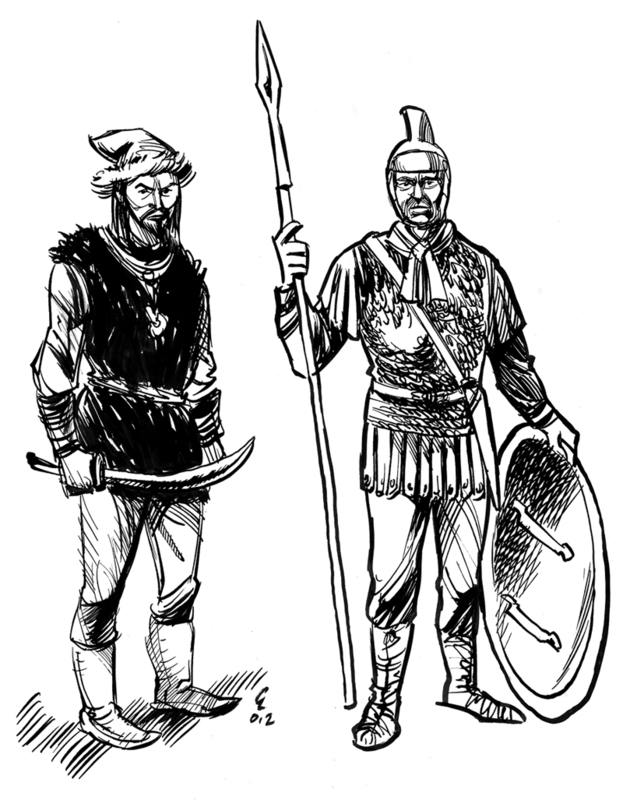 The figure on the right (which should represent a normal soldier of the late empire, if I got my references right) was inked starting with the outer border, inked with a brush, and then the inside was inked with my usual Hunt 108 nib. 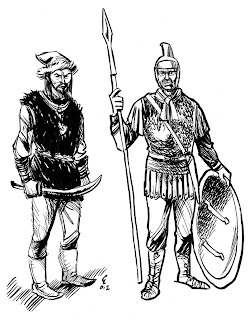 The Hun on the left was inked entirely with #108 except for the fur. 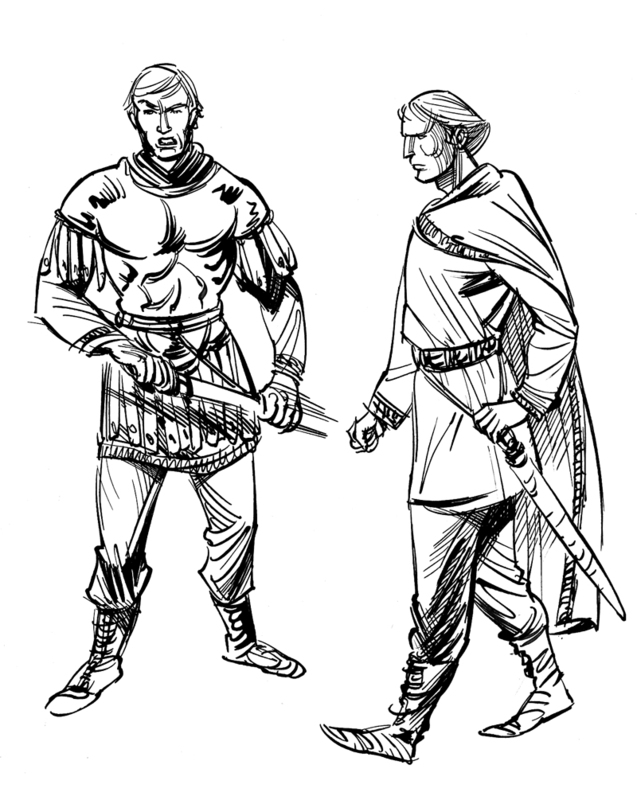 Again, inked entirely with a Hunt 108.